Waterfall Info: This is the fourth (from the bottom) and uppermost waterfall on a tributary of Boggs Creek that is usually referred to as Little Ridge Creek. 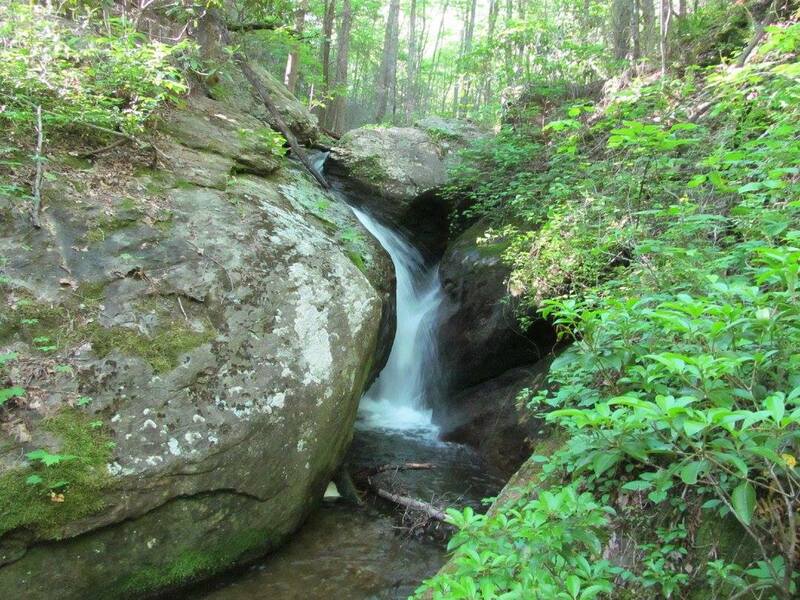 While it's the lowest waterfall on the creek, it's a scenic one as the creek passes through a tight rock cleft. Access Info: To see the waterfalls on the Little Ridge Creek, follow closed FS 443 from the gate. At the road's ford of Little Ridge Creek, turn left and follow a distinct path along the creek. The path crosses the creek once and passes next to all four waterfalls on the creek. Short side paths lead down to each waterfall (all four come in quick succession).